More Japanese Food This Week! You know at Asian restaurants how they have fried dumplings with spicy soy sauce that are super delicious and fabulous and if ONLY you could make them at home your life would be complete? Well, the fried ones aren’t good for you. BUT, you can make them at home, and you can steam them so they’re super duper healthy! This isn’t so much a recipe as a technique for preparing something that someone already made. 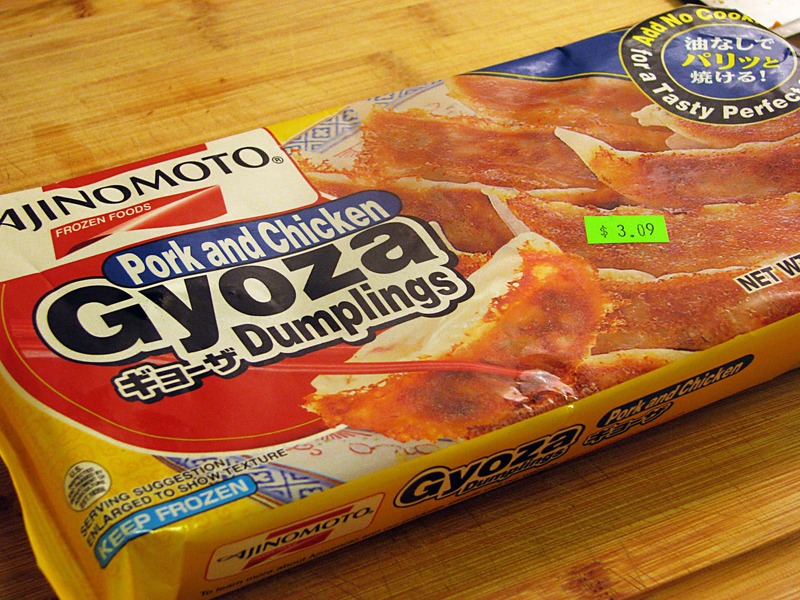 That’s right, I use frozen gyoza/dumplings – it’s easy and they’re readily available in most grocery stores, so why the heck not? 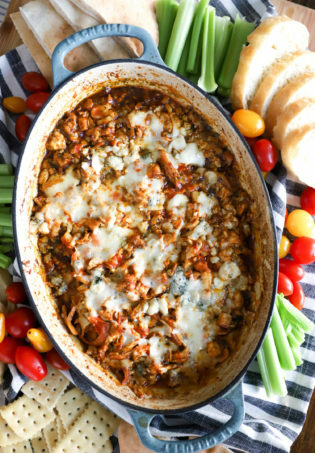 It’s fast, and perfect for a hectic weeknight. 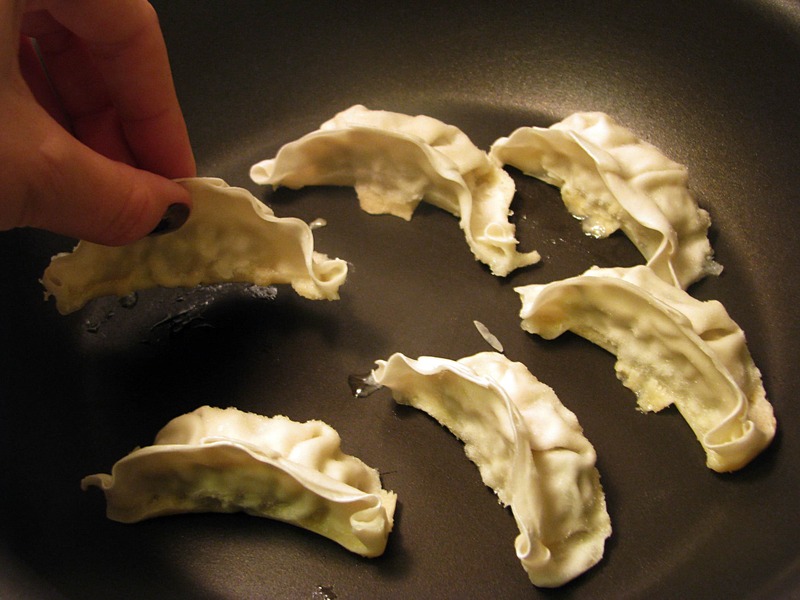 Anyway, this is the kind of gyoza I use. They come in all sorts of shapes, sizes, and flavors, so grab some that you like! The pork ones are my favorite; they have ginger, scallions, and pork inside and are SUPER delicious. Nice! 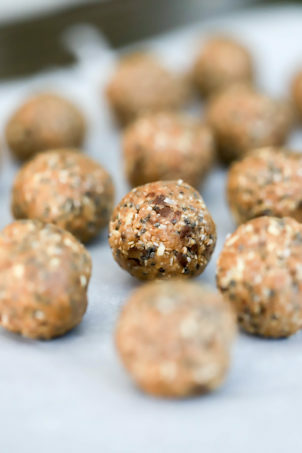 These cook beautifully with zero help from oil, just a little water. 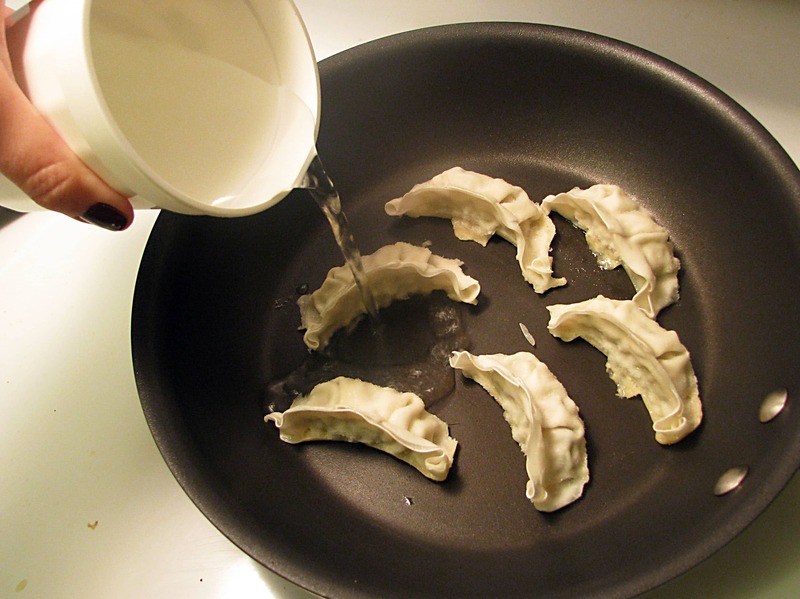 First, you place the frozen gyoza in a medium-hot pan flat side down. See? Hard as rocks, but they start to thaw once they hit the pan. Pour JUST enough water to cover the bottom of the pan (less than you think you’ll need), then cover the pan for 5-7 minutes. After 5 minutes, remove the lid and allow the water to keep boiling until it’s ALL GONE. This should take 2 or 3 minutes. If the water isn’t evaporating quickly, pour some of it out. No biggie! Good! 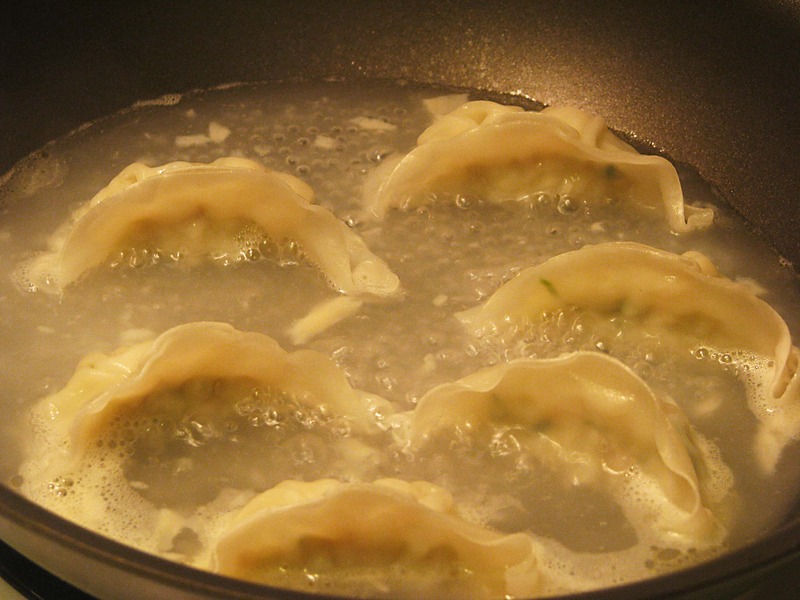 Now, once the water is all gone the gyoza will magically be hot and thawed and perfect. Let them sit, without moving them, on the dry, hot pan for another minute or two until they REMOVE EASILY FROM THE BOTTOM OF THE PAN. This is not a battle, it’s a collaboration. 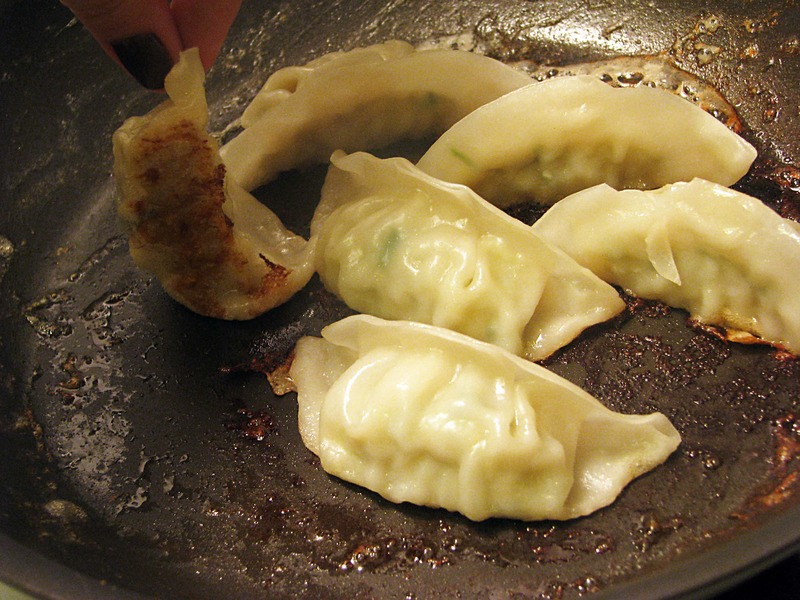 When the gyoza are done they will unstick themselves from the pan and have crispy butts and be ready to eat! See? Crispy butts that aren’t being ripped to shreds by being removed from the pan too soon. The crud in the bottom of the pan is starch from the dumpling that got swished around in the boiling water. That’s basically it. No, that IS it. Super easy! For the sauce, I use ponzu and chili/sesame oil, which is what’s served in Japanese restaurants and is the perfect flavor combination for these little guys. 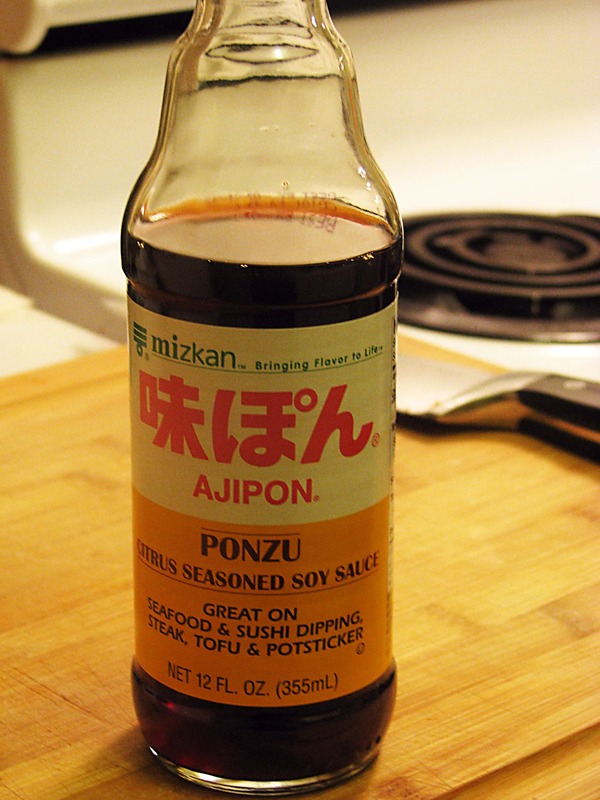 If you don’t have ponzu, no worries! 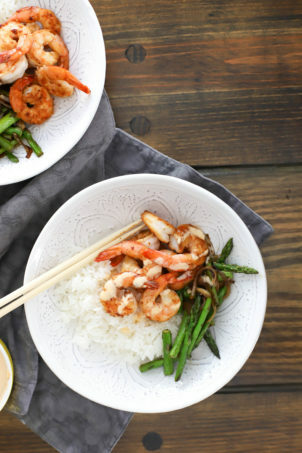 Just use a teeny splash of lemon juice or vinegar with regular soy sauce. Don’t fret. 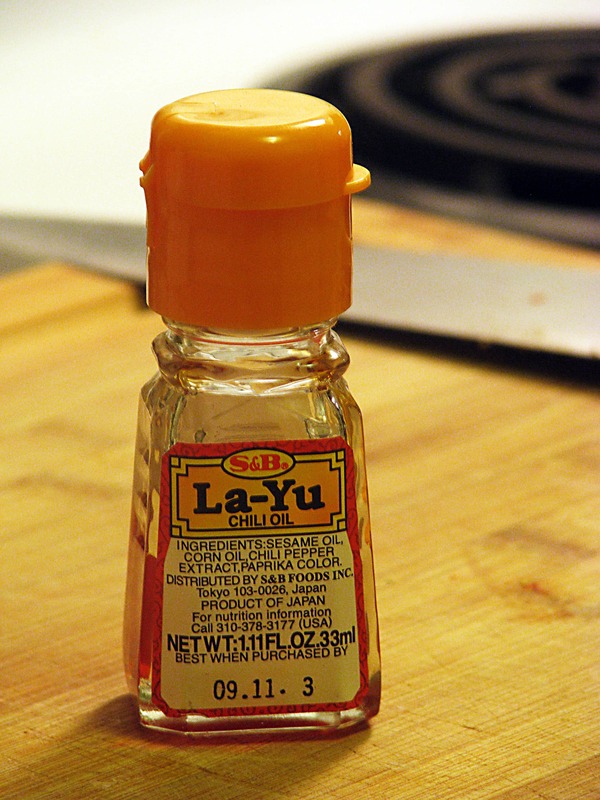 Chili oil is found in lots of different places in lots of different brands. It’s SPICY, so buy the smallest bottle you can find – it’ll still last a long time! Splash some ponzu or soy sauce in a dipping dish, then add just a few drops of the oil on top. 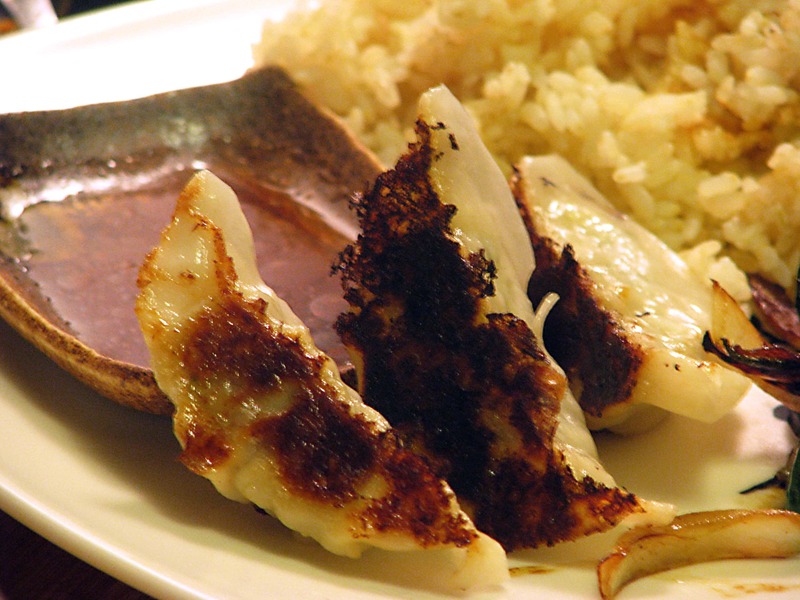 Serve it with the gyoza and you’re good to go! 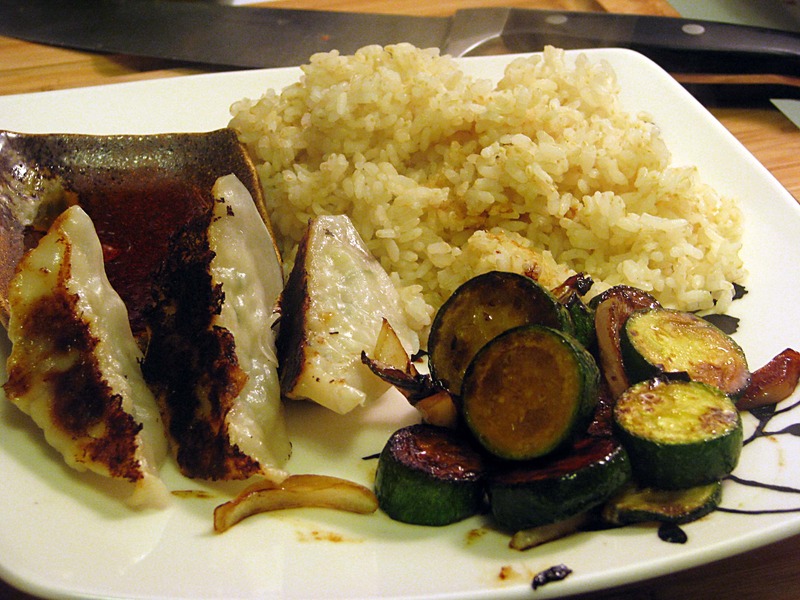 Gyoza are a great thing to keep around for easy, healthy meals. They’re way better for your freezer and your love handles than chicken fingers and tater tots, trust me! 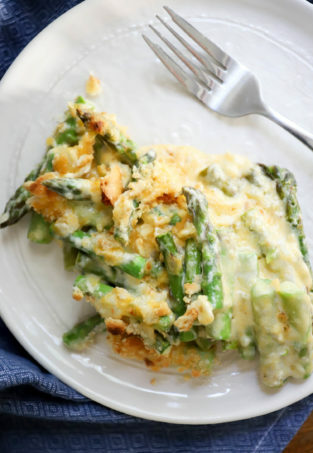 I serve these with some cold marinated tofu and sauteed veggies, which I’ll tell you about tomorrow. In the meantime, go to your freezer section and buy some dumplings! Previous Post: « It’s Just. So. Good.